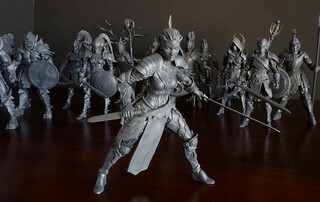 SourceHorsemen.com • View topic - Complimentary figures to Mythic Legions? Complimentary figures to Mythic Legions? Re: Complimentary figures to Mythic Legions? boogieman4hire wrote: Why use saddles when you can have spines poking your junk. Visionary wrote: From what I've seen there are 2 different sized sets. And The 4H made these!?!? That's even better!!!! Must buys! Is that confirmed? I haven't seen that. Yes there are two different types of sets for each monster. The larger ones that will be useful to some us are known as Big City Brawl while the smaller figures that depict them before their mutations are called Canister Contact. Four Horsemen did sculpting for Lanards The Corps line and also for Kong Skull Island so it would be a safe assumption but I haven't heard an actual confirmation either. And I do think the sculpts for George and Ralph are kind of soft like they were made from computer renders or something. But maybe it's just that they're mass retail and they're cheap. 4H made? Yes, confirmed on Facebook. H Eric Mayse We actually made those monsters for Lanard. Looks like they came out pretty good! H Eric Mayse I must say though that the work we did was on top of some digital files that they supplied to us. The only thing we did to that version of George was add articulation to a solid model and turn the head slightly. We did much more work on the other two shown here and the larger version of George not shown here. I have to figure that after making Grodd and Gygor, the 4H are pretty much the go-to guys for awesome gorilla figures. Love the sculpt on that little one. Too bad that didn't translate to the larger one. But given the company these are put out by, I can see why they look the way they do. I'll have to see them in person IF THAT EVER HAPPENS. These types of things never are on shelves in my town. 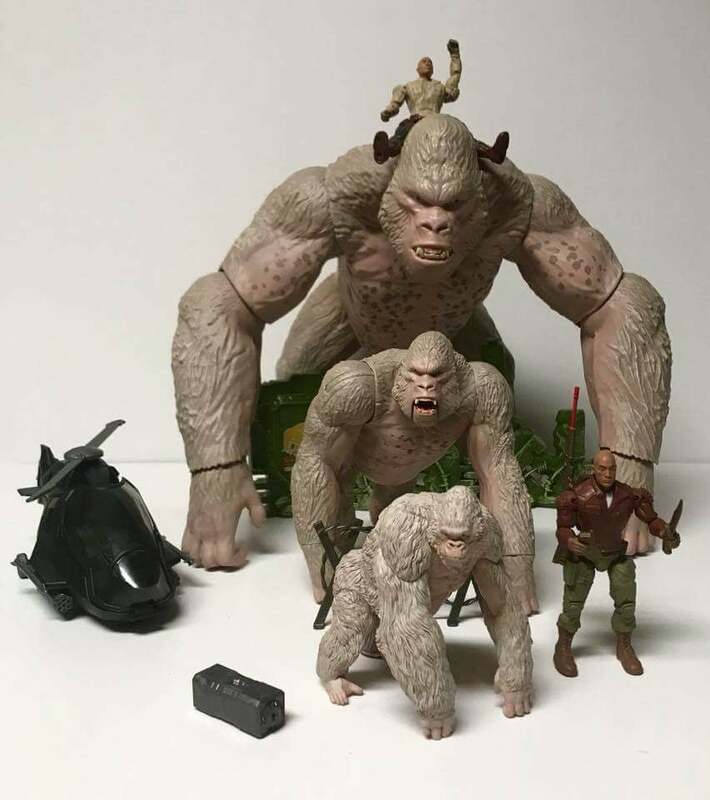 JamesLynch wrote: I have to figure that after making Grodd and Gygor, the 4H are pretty much the go-to guys for awesome gorilla figures. Ultra Humanite is best Humanite. I kinda hope Ralph and Lizzy come in super duper size to match the super George, I may have to make the first Lanard purchase I've made since I tried to get my oldest kid in GIJOE sized figures over a decade ago. Wow, with these hitting already this will be the first time in a long time that I’ll actually be stalking the aisles of the world of Walton. I don't even know where the closest Wal-Mart to me is...and honestly I'd rather not find out. But if these guys do work well with the Legions, I may have to shop their online store to grab some. A pack of Ralph Wargs and a few Lizzie mounts would be fantastic additions to any collection. Disappointed in the complete lack of articulation in the smallest George, and the very minimal articulation in the mid-sized George. But damn if the mega George isn't completely impressive. And $20 I just have to. TheToyDoc wrote: Wow, with these hitting already this will be the first time in a long time that I’ll actually be stalking the aisles of the world of Walton. I agree. I have been to my local store 3 times this week. I didn't go there 3 times all last year!